The first trip to a MAC store can be an overwhelming experience. A lot of friends tell me they're still intimidated by the huge selection of products, the myriad of shades and the similar black packaging. I believe it's important to do your own research, at home, before going out and searching for a specific product. Take concealers, for example. There are so many textures, finishes and levels of coverage to choose from. Also, the packaging can be quite important, depending on your method of application. Do you worry about bacteria? A squeezy tube would be the ideal choice. Want to save up time? A doe-foot applicator will be your bestie. The key is to make a list of your priorities and check which product ticks more boxes. If it's essential to keep the skin looking fresh and healthy, more than a totally opaque coverage, go for Mineralize Concealer — or Select Moisturecover, if your skin is really dry. I love wearing this under the eyes during winter months. Being more emollient, you'll need to touch up after a few hours. 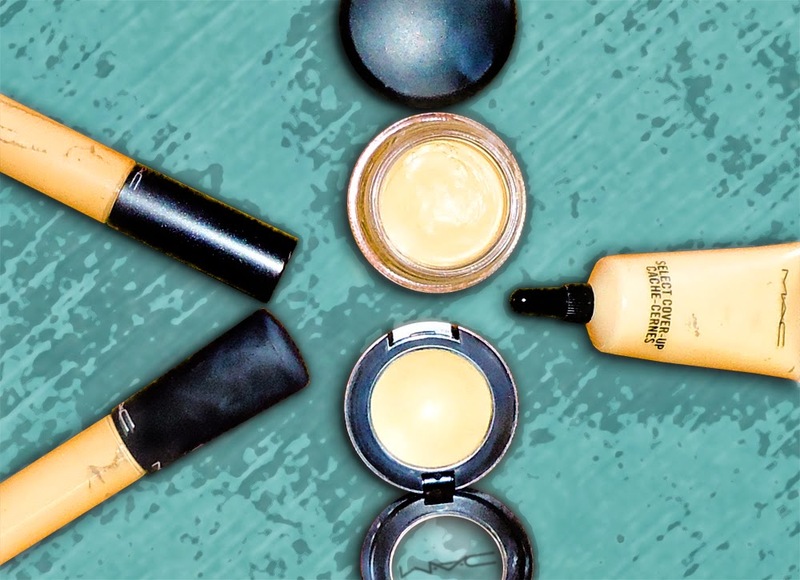 When looking for a perfectly opaque, matte coverage for dark circles, blemishes or even tattoos, try Studio Finish SPF35. The formula is a bit waxy, so you'll need to warm it up a bit on the skin, in order to blend it perfectly. It does dry matte, so looks a bit darker afterwards — do test it in the store to check if the shade matches, as you should anyway. Prepare to be amazed by the lasting power and the level of coverage. Another good option would be Select Cover-Up, a liquid camouflage that looks very natural on the skin. The ideal method of application (for most concealers, but specially this one) is patting or stippling on the desired area and blending outwards, to create a flawless finish.